Solution 1: Verify your Microsoft account security information. Note If you forgot your password or can't sign in using your password, reset your password or use the Lost Password Solution. Verify your security information. For example, verify the phone number, alternate email address, and security question information. Verify the other information in your Microsoft account. Make sure that the billing address for your Xbox Live account matches the billing address used by your credit card company. Also, make sure that your Xbox Live account payment information, including capitalization, matches the information used by your credit card company. Try to sign in to Xbox Live again. Solution 2: Delete the profile that's stored on your Xbox console. From the Xbox Dashboard, go to Settings and select System Settings. Solution 3: Clear the system cache. Solution 4: Download your profile again. Note If you don't see a "Download Profile" notification, it probably means you're signed in to another profile. Press X to sign out. Note If your account is an Xbox Live child account, you have to use the parent's Microsoft account to download the profile. Solution 5: Troubleshoot your Xbox Live connection. 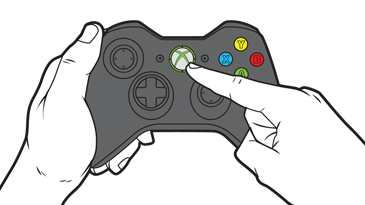 ¿Quieres contactar con el Soporte técnico con referencia al problema "Error 803c0009 occurs when you try to connect to Xbox Live on Xbox 360" acerca del que estabas leyendo o con referencia a otro problema?